The AIM NetworkNews and PoliticsDay to Day Politics: On the eve of the last election. Day to Day Politics: On the eve of the last election. I am still no further advanced in answering the question “who will win the election?” I think my mind is still in cause and effect mode. Thoughts of consequence invade me. So I ask the reader to indulge me for a little longer. I have always thought that at the centre of any political philosophy should be the common good. In saying this my thoughts often drift toward a better way of doing politics and the term commongoodism is central to my internal debate. It sounds idealistic, this common good and it may not in itself be suited to all political persuasions but it is worthy of examination. Conservatives for example may never be able to overcome their dislike of equality. It is probably more acceptable to the left than the right. But politics after all is about ideas and compromise. I ask myself if the isms of left and right have gone past their used by dates? Many questions arise. Do they suffer from the tiredness of longevity? Is there a possibility that a new politic could emerge from the ashes of this election. Can a society deeply entrenched in political negativity and malaise, rise with a renewed interest in the common good, and still retain the essential ingredients of a vigorous democracy where a wide ranging common good test could be applied to all policy. Even have a caveat placed on it. Have left and right so fused into each other that they no longer form a demarcation of ideas? Could the ideologies of the two somehow come together to form this commongoodism? Who would decide the common good? How could one define it? Could capitalism embrace the common good or would it need a work over? Could conservatism which empathises individual responsibility and opportunity embrace it? What would common good values be? Some might even say there is no such thing. That’s all a bit like political scrambled eggs I know but they are the sort of philosophical questions I ask myself on my daily walks. You see that although I still value my leftish views I do really believe that modern political thought and practice needs to move beyond self-interest and the attainment of power for its own sake. And not just nationally but internationally. But particularly in Australia where politics no longer meets the needs or aspirations of the people and is held in such low esteem that politicians are barely relevant. I have long felt that the political establishment has taken ownership of a system that should serve the people but instead serves itself. It is self-indulgent, shows no respect for the people it serves and lacks transparency. These thoughts I know challenge established political thinking. They may even be controversial, but politics, as we currently practice it has no future as I see it. There I have finished my dummy spit, my dose of idealistic medicine. Now I will answer the question. Who will win tomorrows election? Well it won’t be Labor and here are three reasons why. Firstly, despite the growing influence of the Fifth Estate the mainstream media still packs an enormous punch. In advertising the success of one’s spend is measured by the resulting sales. The media can measure its influence in the polls. Labor has been the victim of the most concerted gutter attack ever thrust upon an Australian political party. And from all sections of the media, although one in particular, News Corp, has gone well beyond the realm of impartiality. Labor has been drowned in an avalanche of lies, repugnant bile, half-truths and omissions. The media has lost its objectivity and news reporting in general has become so biased that it no longer pretends to disguise it. The MSM has forsaken truth, justice and respectability in its pursuit to protect privilege. They print and tell lies with such reprehensible consistency that a gullible and politically undiscerning Australian public has never really challenged. As a famous business man once said, “I spend a lot of money on advertising and I know for certain that half of it works”. The Fifth Estate (including me) has attempted to counter these nefarious attacks but in my view it is three years away from reaching its full potential. Having said that I plead some degree of ignorance, and I must say, I am absolutely astounded at how many people participate in social media and the voice it gives them. However in three years’ time its ability to influence the younger generation will have risen exponentially. Added to that will be a declining older generation. Secondly, Tony Abbott has been a man who has adopted an American Republican style shock and awe approach in his pursuit of power. Main stream media has hailed him the most effective opposition leader in Australian political history. This is solely based on his parties standing in the polls and says nothing about the manner in which he lies and distorts to bring about this standing. Perhaps they should rethink the criteria they use. On a daily basis and in the parliament he has sought to abuse, disrupt proceedings and tell untruths that normal men would not. His gutter style negativity has set a new benchmark for the behaviour of future opposition leaders. Luckily though, he may be the only one of his characterless ilk, and future opposition leaders may be more affable. However, the consistency of his negativity has had an effect on an electorate in a state of comatose. “An aggressive populist with a sharp tongue; a political animal with lots of charm; a born protégé with ambitions to lead; a big brain but no intellectual; a bluff guy who proved a more than competent minister; a politician with little idea of what he might do if he ever got to the top; and a man profoundly wary of change … He’s a worker. No doubt about that. But the point of it all is power. Without power it’s been a waste of time”. On the other hand, John Hewson described him as lazy and indolent. Thirdly, this where the truth hurts. My Party can at times be its own worst enemy. For the six years it has been in power it has governed well. Despite the enormous difficulty of minority governance. This is indisputable when you look closely at its economic record, the legalisation passed in the Parliament and the reforms from within a minority framework. Its problems though have not originated from everyday governance. In this sense it has been no better or worse than any other. Rather its problems stem from personality conflict and the pursuit of power. Politics by its very nature is confrontational and uneasy with those who pursue power for powers sake, or those who think they have some sort of ownership on righteousness. 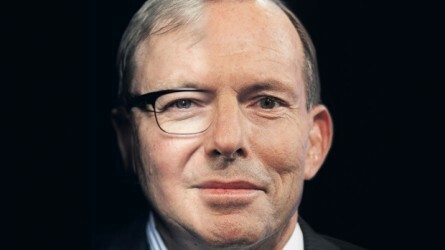 Labor had two formidable intellects in Rudd and Gillard. In fact, combined they would total the entire opposition front bench. This clash of personalities supplemented by an inability to sell its policies has for six years damaged Labor immeasurably. And this is the main reason why Labor will lose. Not because they haven’t governed well. But because life is about perceptions, not what is, but what it appears to be. We have painted a picture of dysfunction. Rightly or wrongly that is the perception. In conclusion, if you are a praying person I suggest you get on your knees and ask that Abbott not be elected tomorrow night. And in the aftermath, if we stand still in the midst of these challenging and changing times we will stagnate. We simply must move on and confront those oblivious to the common good with all the resources at our disposal. ‘I think acceptance and embracement of change is one key aspect of what we try to define as wisdom’. “It is the reality of a Labor Party committed to managing capitalism.” That to me is a catch 22. To me labor parties are there to go to root of the problem to see homelessness, inequality an economy that moves from boom to bust and bounces around having a depression every three to seven years, a society that concentrates political power to a tiny few elite. These are recurring problems of capitalism that are built into the system and I’m afraid the system itself is the problem. We need to do better than capitalism the problems to me are systemic. Every capitalist is trying to make more money or survive competitively by saving on his labor costs, through automation, or cheaper workers, but here comes the contradiction; if everyone is reducing the amount of workers or reducing the pay they give to them that means working people put less and less money into the system. Australia is increasingly a service industry economy who’s going to buy the goods. I suppose the temporary solution is we buy everything on credit! The system is destroying itself! We need to address peoples sustainability at lower levels.To supply basic housing. The current system seems to overlook this.We can’t have it both ways as industry brings in mechanization that rids us human beings hands.Some people cannot work full time anyway but they could be useful to society in return for housing them . For their cheap housing they could do community work once a week or fortnight. I don’t believe it was and still is the blatant biased attacks by the MSM against any oppositions to the Liberals that are the main positive for them winning or polling higher than they should. That would be the constant subtleties that are played out in the MSM, and none more so than that of the ABC with Channel 7not far behind. – Longer favourable interviews with the Liberals whilst having shorter or no interviews with their opponents. Another take on this is to often cut the opponent short or have technical difficulties with them, but rarely if ever with the Liberals. And yet another take on this subtlety, especially for live out of studio interviews, is to have the Liberal interview in the highest quality whilst having their opponents filmed in poor quality video and/or sound. – In shorts and promos show the Liberal pollies, especially their leader, favourably and for longer in the promo whilst showing their opponent in a bad shot or light, or not showing them at all. – In video or sound bites show the Liberal polly in a favourable snippet whilst showing their opponent unfavourably, often out of context or cutting them off. – Shoot or frame the Liberal polly in their favourable side or aspect whilst doing the opposite for their opponent. – Framing similar questions or accusations to be easier on the Liberal member whilst being dismissive or harsher on their opponent. Oh and not a single “the leader of the opposition says”, or “the opposition says”, since Labor went into opposition. Yet under the Abbott opposition this was constant. And I’m sure those here can come up with many more examples. I see the above and other similar subtlety. For instance right now I’m seeing Hunt being given free and very favourable coverage of the blatant lies he’s pushing with not a single comment picking up on those lies. Great comments as usual John Lord. I agree with Terry2 re the Abbott political analogy! It is very upsetting to see just how to the “right” of “left” the Australian Labor party has gone. What went wrong I wonder? Did Shorten start this ball rolling, or has it been festering for some time now? In any regard, it is more than time that the “powers that be” of the Labor party decided to return to their core roots & become the Party we used to have. In NO way should any of the right wing, flat earth, tea party, conservative views “meld” with anything from the Labor party! I am not advocating any form of a return to the supposed Communist party views which seemed to dog the Labor party in the 40’s & 50’sm but in reality, the Labor party must go back to its roots, NOW! To reuse the very famous “battle cry” of the Whitlam era: “ITS TIME”!! I became eligible to vote at age 21. My father told me to vote liberal. I did some homework and voted Labor. My criteria were common decency, care of the people, and honesty. Labor has always had more of those qualities than any other party over the years, so they’ve always had my vote. However, there’s been a few times when it felt like it was a bit harder to find but, nevertheless, it’s always been evident to some degree – in spite of the increasingly dishonest vileness of the mainstream media. effective opposition leader is the worst descriptor of the rabbott. He is simply a lucky man. Lucky to beat turnball, lucky to have the tv excited by the lemon’s failings, lucky to be able to give the slogan message regardless of the question lucky that labor could not counter his slogans lucky gillard was a woman lucky tv women are wary of powerful women and the men were intimidated by her depth of knowledge and her calm honesty. mobius love your subliminal support and the ABC was rife with negatives for labor and pluses for the rabbott. One of the disasters for labor was the introduction of abc 24 which was used effectively by the rabbott at one stage from cst 0700 till 0830 they were crossing to a house in melb every 5 minutes till the rabbott came out with the candidate who gave the slogans and took no questions. as usual I wonder where your thoughts come from? how about pious X11 was the most effective proponent for peace.in Europe.